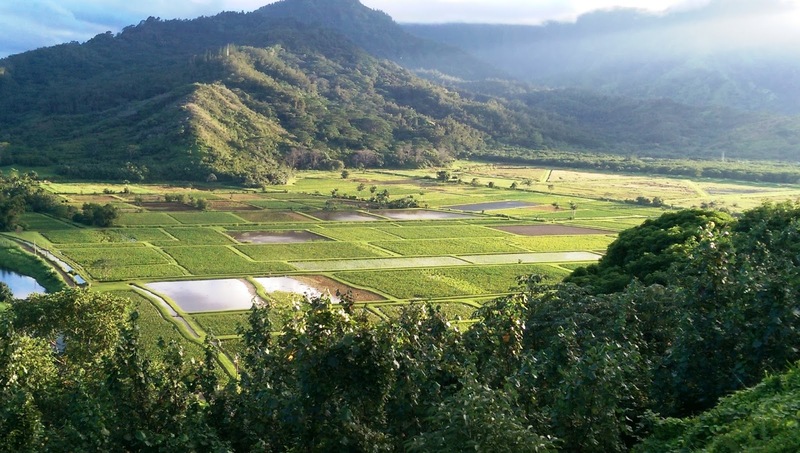 A state program that has preserved more than 30,000 acres of private land in Hawaii for public benefit over a decade might not preserve much this year because of a paperwork mishap that the Legislature declined to correct in April. Star-Advertiser. Two members of the powerful House Finance Committee were abruptly replaced Sunday in a partial House reorganization launched just a day before the start of a high-stakes special session to try to bail out the financially troubled Honolulu rail project. Star-Advertiser. A bill that would bail out Honolulu’s floundering rail project with about $2.4 billion from Oahu taxpayers and hotel guests statewide contains one key provision missing from earlier proposals: a requirement that the Hawaii State Auditor conduct a sweeping audit of the rail project and its manager, the Honolulu Authority for Rapid Transportation. Civil Beat. When the Legislature takes up a $2.4 billion bill to bail out the struggling Honolulu rail project on Monday, the carefully crafted deal faces three main obstacles. Civil Beat. A bill requiring the neighbor islands to help bail out Honolulu’s over-budget rail project is roundly opposed by Hawaii County officials, the chambers of commerce, the hotel industry, many Big Island residents and all four of the island’s state senators. West Hawaii Today. Some neighbor island lawmakers are agitating against plans to increase the hotel room tax statewide to pump more money into Honolulu’s financially troubled rail project, and their resistance could jeopardize what is expected to be a close vote in the state Senate this week on a multibillion-dollar rail bailout package. Star-Advertiser. An undercurrent of tension between the Honolulu mayor and lawmakers has spilled over into outright mistrust over a huge money gap. KHON2. Lawmakers will gather at the state Capitol Monday for a special legislative session on how to fund Honolulu's troubled rail project. Hawaii News Now. The state legislature is set to open a special session on Monday to decide how to pay for Honolulu’s 10-billion dollar rail project. Hawaii Public Radio. A special session starts on Monday for the proposal to bail out Honolulu’s rail project. KHON2. The Honolulu Authority for Rapid Transportation invited the public to a viewing of the country's first fully-automated, driverless train. KITV. The Hawaii system that administers federal Supplemental Nutrition Assistance Program dollars, formerly called food stamps, has allowed at least one recipient to accumulate more than $20,000 in unused benefits. Star-Advertiser. DNA leads Army to declare 3 Black Hawk crew members dead after crash. KHON2. Frustrated by how long it has taken the Police Commission to pick a new chief, some Honolulu City Council members are suggesting it may be time to consider changing the law to allow the mayor to make the selection. Star-Advertiser. Hawaii’s growing homeless problem has prompted the state’s largest health care companies to join forces with the city to provide medical services, respite and housing to some of Oahu’s most needy residents. Star-Advertiser. Last week, Honolulu Mayor Kirk Caldwell signed into law yet another bill that expands the boundaries of Honolulu’s “sit-lie” ban — a series of ordinances that prohibit people from sitting or lying on sidewalks and in pedestrian malls. Civil Beat. Would you let a homeless person live in your backyard? What if you got paid to do it? Hawaii News Now. Wind developers looking to build on Oahu are now required to give the public more opportunity to be heard. Star-Advertiser. A woman who lives in Nuuanu is on a mission — to turn part of Aala Park in Downtown Honolulu into a dog park, which she tells us will also help revitalize the neighborhood. KHON2. Unearthing Hickam’s 14 ‘unknowns’ Star-Advertiser. Hawaii County has withheld payment of more than $900,000 to the general contractor of the Ka‘u District Gym and Shelter because the structure isn’t up to code for a hurricane shelter. Tribune-Herald. The HELCO-Hu Honua biomass power purchase agreement is being appealed to the Hawaii Supreme Court. Big Island Video News. Drivers will have to wait a little longer before using the latest improvements to Saddle Road, the Daniel K. Inouye Highway. Tribune-Herald. Volunteers keep Amy B.H. Greenwell Ethnobotanical Garden alive. West Hawaii Today. Maui County has been ordered to refund $10.7 million to two time-share owners associations in a legal dispute over amended assessments billed nearly a decade after the original assessments were made. Maui News. A state judge has rebuked Maui County attorneys and property tax officials for collecting $10.7 million in improper taxes from owners of a Kaanapali time-share because the owners challenged the county’s tax policy. Star-Advertiser. The hearings officer in a contested case proceeding over East Maui stream flows has recommended restoring 26.5 million gallons a day to 12 streams, which East Maui taro farmers, Native Hawaiian cultural practitioners and their attorneys complained still represented “a gross imbalance” in water allocation in favor of Alexander & Baldwin. Maui News. A poll taken at the end of a Haiku Community Association meeting Thursday night showed residents evenly divided (about 20 to each side) on whether to allow more vacation rentals in the community. Maui News. Dozens of residents gathered Saturday at the West Maui Senior Center in Lahaina to learn about and give feedback on the impending update of the West Maui Community Plan. Maui News. Six Hawaiian green sea turtles (honu) were released off the coast of Maui during a private ceremony on Thursday, marking the conclusion of the turtles’ residency at the Maui Ocean Center’s Aquarium. Maui Now. Hawaii Public Radio announced the completion of its relocated Maui transmitters on August 8. Hawaii Public Radio. Flights to Kauai will increase by 42.6 percent in 2018; concerns loom over too many visitors. Garden Island. Public schools across Kauai have been back in class for nearly a month, but some students are still sweating it out because of high temperatures and a lack of air conditioners in their classrooms. Garden Island. Kauai’s farm-to-school pilot program, happening at two public charter schools on the island, has received a $170,000 commitment from the Office of Hawaiian Affairs. Garden Island. Kauai Humane Society has cats coming out of its ears. The shelter is filled to capacity with all types of animals right now. Garden Island.